US policymakers will likely play a more outsized role in guiding global oil prices than in recent memory, said Barclays, a British multinational investment bank and financial services company, highlighting that it flags the possibility of significant upside price risks in Q4 and downside risk in subsequent quarters from this development. Barclays Research recently hosted a premier event in New York discussing the implementation of Iran-related US sanctions and the associated geopolitical ramifications. The iterative process of sanctions implementation. In Barclay’s view, in the months ahead, US policymakers will play a more outsized role in guiding global oil prices than in recent memory. Second, non-government speakers noted that Iran sanctions may be most effective at reducing oil supply up to November, although subsequent rounds are likely to be more subjective. Third, the laser focus on barrel reductions ignores that the administration has significant latitude with the way in which it will enforce these sanctions, and the pressure applied could be subsumed under other broad geostrategic and economic priorities. There are other ways in which these sanctions could be enforced, on which we elaborate below. While “going to zero [imports from Iran]” by November 4 is the US government’s stated goal, there is a sizable chance that this will not happen, in Barclays’ view. Barclays maintains its estimate of a disruption to Iran’s crude exports of almost 700 kb/d, but India will be the biggest swing factor. “Our balances assume Iran’s crude output is almost 700 kb/d lower by early Q2. From the perspective of our non-government speakers, it is likely that the initial round of sanctions implementation could lead to a disruption to Iranian crude and condensate exports of up to 1 mb/d in November/December,” said Barclays. Significant upside price risk in Q4. The administration is likely to be forced to dial back the severity of its sanctions implementation in the aftermath of the first six-month phase. In line with this, Barclays highlights significant potential for upside price risk in Q4 and downside risk in the following quarters from the Iran sanctions issue. 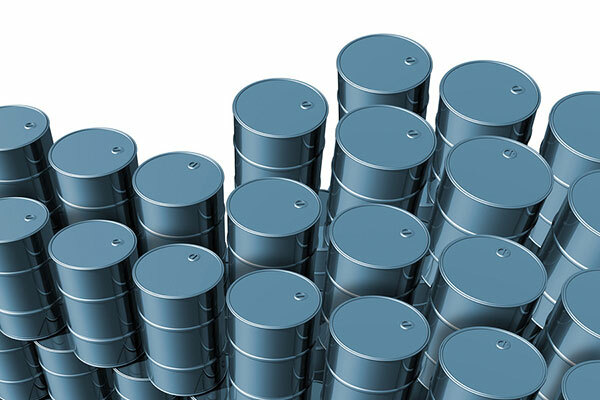 The Trump administration’s stated desire to minimize the disruption to global oil markets means that its approach to significant reduction exemptions (SREs) for Iran’s oil importers may differ from one round to the next. “They [the US] have the watches, we [Iran] have the time.” Finally, in the opinion of some of our non-government speakers, current US policy has not furthered the regime change objective; if anything, it has strengthened the regime among certain key constituencies. The US withdrawal of the JCPOA strengthened regime coherence and has led Rouhani to slide even further to the right, according to Barclays’ Iran expert speakers.